Conversion platform that allows you to add a call-to-action to everything you share. Search for videos, articles or other links that target your niche. Configure CTA message that will be showed to your visitors. Share given link across your audience and drive traffic back to your offer. Increase conversion of your sales, leads and traffic on your offer page. Boost your ROI from content you share. 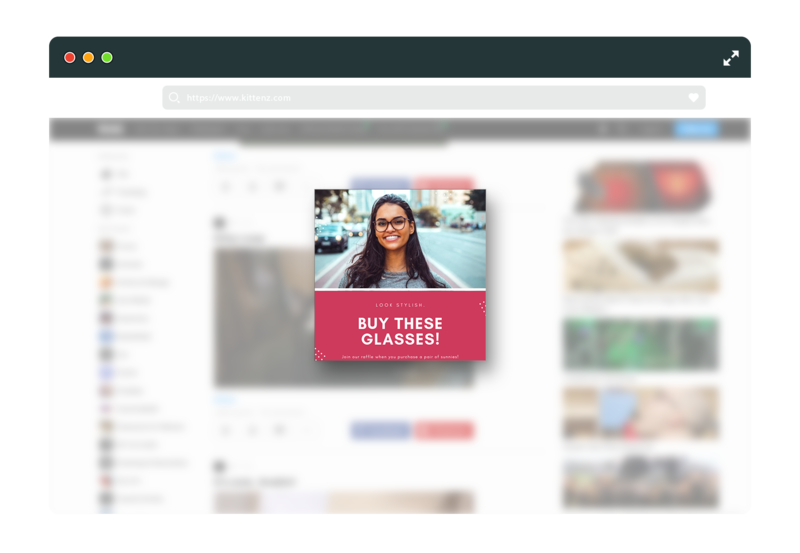 With Exitbar you can create popups and other ads on any page you share with your audience. Check how your messages and ads may look like.